Salve e abra o eclpse pelo atalho, ele vai ser gerado no seu iniciar do Ubuntu. 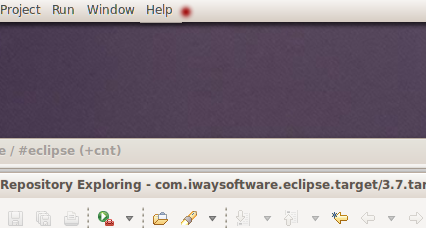 This entry was posted in Eclipse, IDE, Linux, Ubuntu and tagged 13.10, eclipse, eclipse menus, Eclipse menus are cut off or don't show, menu, menus, menus don't show, ubuntu, ubuntu 13.10. Bookmark the permalink.